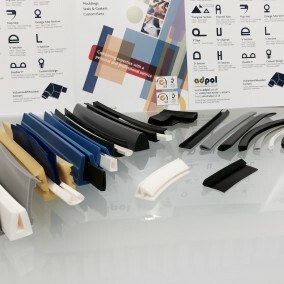 Adpol is a UK based, service focused manufacturer of extruded, moulded and stamped custom parts in all grades of Silicone Rubber with over 40 years experience. 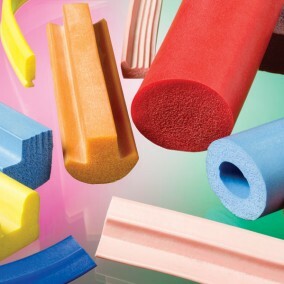 A wide range of UK manufactured Silicone Sponge Extrusions. Wide range of thicknesses, hardnesses, colours, material and widths available. Gaskets to bespoke design or reverse engineered! 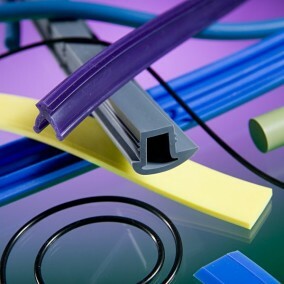 We are a specialist manufacturer of silicone rubber extrusions. Available in vast range of colours and many specialist materials. 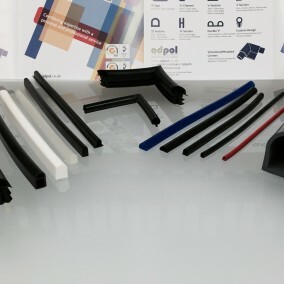 Rubber Moulding in a wide range of specialist materials. 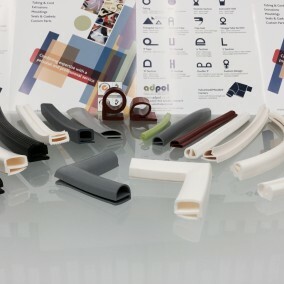 Whatever your requirements from rubber mouldings , prototyping new silicone rubber extrusions, existing silicone tubing, silicone rubber cord, sheet, silicone rubber gaskets, to reverse engineering existing parts we will be happy to advise and help. We already have over 3000 dies in house and can quickly and cost effectively produce new tooling to your drawing or sample in around 14 days. 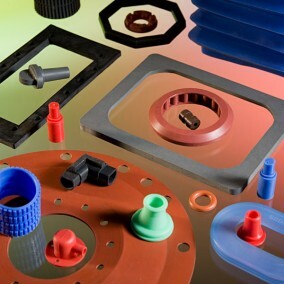 Adpol manufactures a whole host of custom parts in silicone rubber, neoprene, fluorosilicone rubber, Viton , platinum cured silicone rubber, conductive rubber, and metal detectable rubber compounds. Our parts are typically and successfully used in areas such as aerospace, medical tubing, food & dairy tubing, rail & transport, waterproof seals, enclosure seals, Lifescience equipment, static shielding, automotive, MOD, autoclave/steriliser seals and window/door seals. 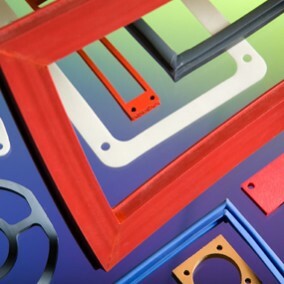 In addition to manufacturing silicone rubber extrusions, silicone rubber compound , silicone rubber mouldings and sponge gaskets we have the facilities to stamp out and water jet cut sheet and cut and join extrusions into O rings or square gaskets. By dealing directly with the manufacturer you get competitive prices, shorter lead times, custom products and direct access to technical support. We’ve been getting it right for over 40 years so please let us try and exceed your expectations.